Jakarta - HTC have not released anything kicked off again after the appearance of HTC. However, Taiwanese vendors have two new smartphones that will be on display to the public this week. Like what? HTC Desire HTC Desire 601 and 300, the names of two new smartphones. Both have a look similar, but slightly different specifications. HTC seems to try to provide more choice of products for users. As quoted from Cellular-news, on Wednesday (04/09/2013), HTC Desire 601 combines 400 dual-core Snapdragon processor from Qualcomm 1.4 GHz and LTE connectivity. Equipped with a 4.5 inch screen and 5 megapixel camera.HTC Desire 300, carrying the 4.3-inch screen, uses the same processor-the same dual-core Snapdragon from Qualcomm, but this one with the power 1GHz. The availability, the HTC Desire can be purchased in 601 starts operators and retailers in a number of European countries, the Middle East and Asia from mid-September. 300 while the HTC Desire will be available from October 2013. 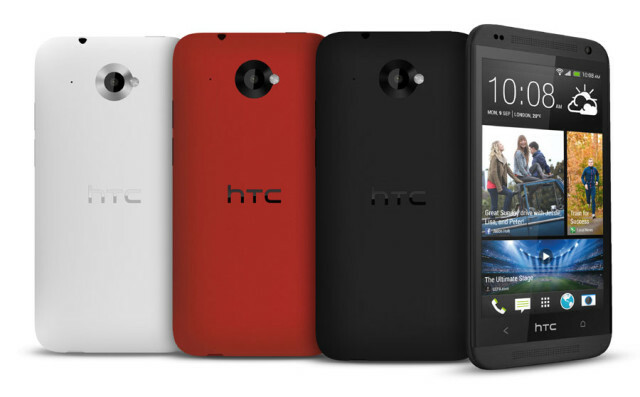 In addition to the duo released the latest series Desire, HTC also appear BoomBass. This is a subwoofer accessories can be connected to Bluetooth, equipped amplifier. This gadget is for HTC BoomSound family and go on sale in mid-October HTC Accessory Store.